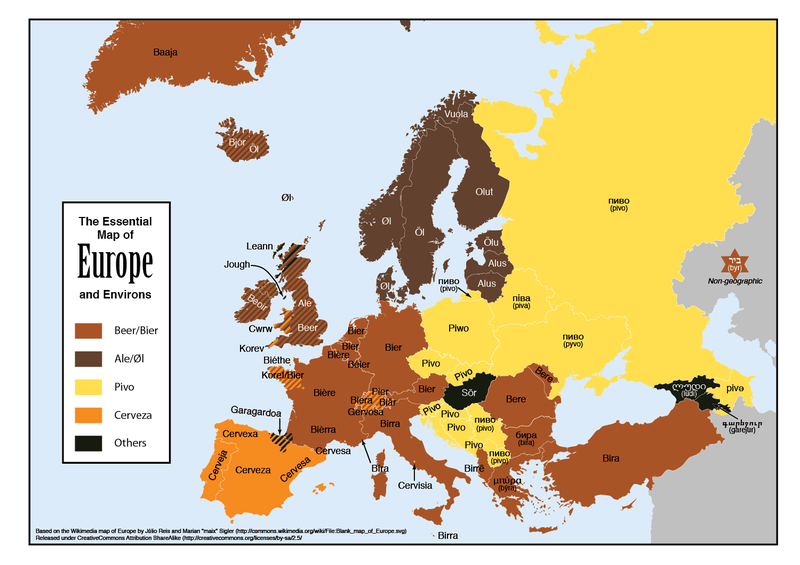 "You can almost visualize the 19th century borders of the Ottoman Empire in this map of all the terms for beer in Europe. With this map you can almost chart the time and place beer came to the Ottoman Empire; probably from their western Mediterranean neighbors, at a time when (at least parts of) Romania, Bulgaria, Albania, and Greece were still in the empire. Probably sometime in the 19th century, but definitely before 1878. you would expect Macedonia and Bosnia to follow this trend, but they use the general Slavic term instead. This suggests that Yugoslavia imposed the Slavic form of the word, or that beer spread from Slavic speaking Austro-Hungarian Croatia and Slovenia instead of from their Balkan neighbors to the south. 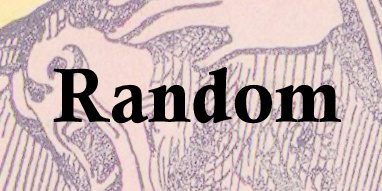 Some research bears this out. It seems beer first came to the region when the new Bavarian king of Greece, Otto, brought a personal brewer with him in the 1830's. The brewer's son, who in 1864 founded the first commercial brewery in Athens, spent a lot of time exporting his products to the Hellenic state's neighbors. It seems that these brewers got people in the southern Balkans and western Anatolia to develop a taste for beer, and further German, Swiss, and Austro-Hungarian immigrants found an opportunity to open commercial breweries in Bulgaria, Romania, and Istanbul in the late 19th century. It is interesting, however, that despite the central European roots of beer production in the Balkans and western Anatolia, all these countries use the Italian form of the word Beer, Bira. Beer only came to be commercially produced in Italy from around the 1840's or so. It looks like the Ottoman and post-Ottoman world's longstanding commercial ties to Italy caused Bira to enter the various Ottoman languages from Italian before commercial, indigenous production started, even though the first wave of breweries were almost all started by enterprising central European immigrants who would've called it bier." 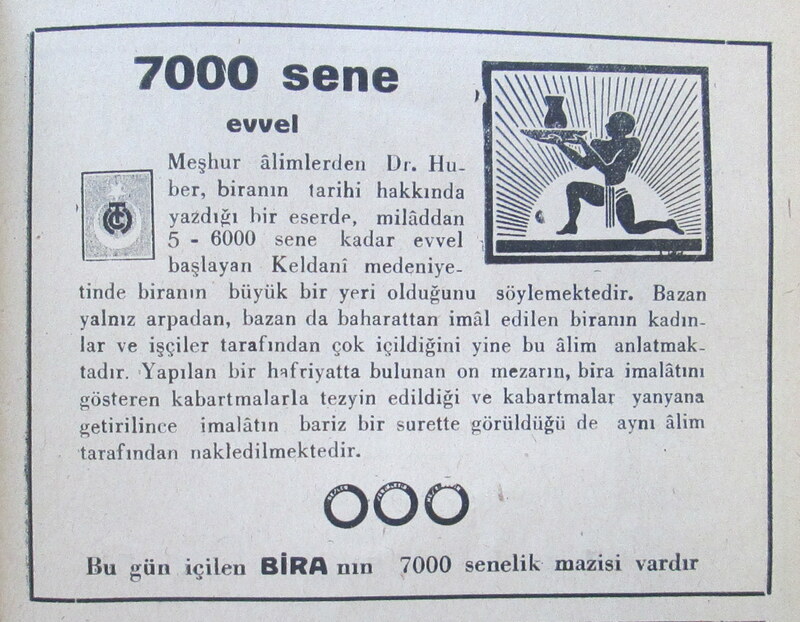 Lest we as the editors be accused of not contributing any real research to this post, here is a fantastic beer ad put out by the Turkish government that appeared in several magazines during the 40s. It features an image of a Hittite man serving beer, above a reminder that, as proven by recent excavations, "The beer you drink today has a 7,000 year history." Barely visible in the three circles below are the words "It Nourishes[Besler]" "It Refresher [Serinletir]" and "It Gives Joy [Neşe Verir]."